Cannabis most likely originates from Central Asia, as archeological evidence indicates it was cultivated in China for food and fiber already 10.000 years ago. Also in ancient Egyptian mummies clues have been found for the use of cannabis as food or medicine. In fact, cannabis is one of the oldest known medicinal plants and is described in almost every ancient handbook on plant medicine, most commonly in the form of a tincture or a tea. Some religions were closely related with the properties of the cannabis plant. For example, in Hindu legend cannabis is believed to be the favorite food of the god Shiva, because of its energizing properties. As cannabis spread from Asia towards the West, almost every culture came into contact with this versatile plant. Nowadays, cannabis can be found in all temperate and tropical zones, except in humid, tropical rainforests. As a fiber plant cannabis is also known as Hemp. It produces some of the best and most durable fibers of natural origin. For a long time in history these fibers were used to produce sails for sea-ships, paper, banknotes and even the first Levi’s jeans. The oil that can be pressed form the hempseed is very nutritious and is considered as a good alternative to fish oil as a source of the healthy kind of fatty acids. Despite the fact that cannabis has been grown for centuries on a large scale in most countries, the recreational use as a narcotic remained uncommon in Europe or the United States until relatively recently. People were largely unaware of the psychoactive properties of cannabis and it is unlikely that early cultivars, selected mainly for their fiber qualities, contained significant amounts of the psychoactive compound THC. The medicinal use of cannabis was only introduced in Europe around 1840 by a young Irish doctor called William O’Shaughnessy. He served for the East India Trading Company in India, where the medicinal use of cannabis was widespread. Unlike the European fiber cannabis, these Indian varieties did contain a reasonable amount of THC. In the following decades cannabis knew a short period of popularity both in Europe and the United States. At the top of its popularity, dozens of different medicinal preparations were available with cannabis as active ingredient, which were recommended for indications as various as menstrual cramps, asthma, cough, insomnia, support of birth labor, migraine, throat infection and withdrawal from opium use. 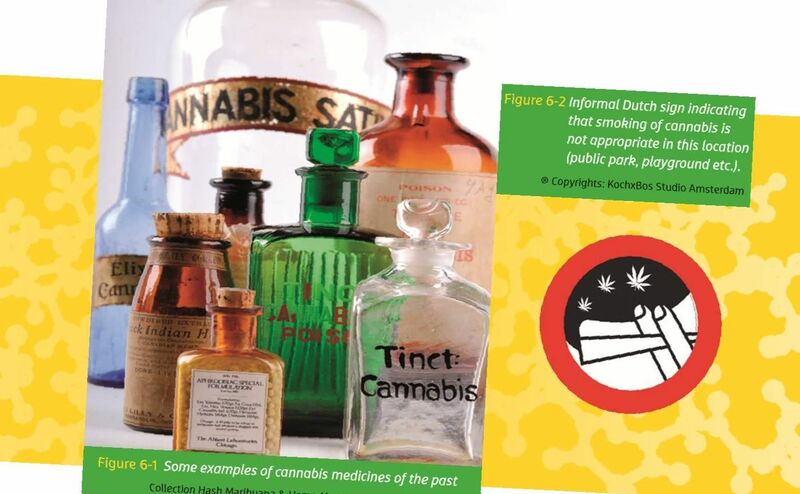 See figure 6-1 for some examples of old cannabis medicine. Unfortunately, difficulties with the supply from overseas and varying quality of the plant material made it difficult to prepare a reliable formulation of cannabis. Because, at that time, no tools existed for quality control it was impossible to prepare a standardized medicine, so patients often received a dose that was either too low, having no effect, or too high, resulting in serious side effects. Moreover, cannabis extract was not water-soluble and therefore could not be injected, while oral administration was found to be unreliable because of its slow and erratic absorption. Because of such drawbacks the medicinal use of cannabis increasingly disappeared in the beginning of the twentieth century. Its place was largely taken over by opium based drugs such as morphine and codeine. When finally a high tax was imposed on all cannabis-based products (seeds and fibers excluded) and increasingly restrictive legislation was introduced for cannabis abuse, the medicinal use of cannabis gradually disappeared from all Western pharmacopoeias in the period from 1937. As from 1954, the World Health Organization (WHO) started claiming that cannabis and its preparations no longer served any useful medical purpose and are therefore essentially obsolete. This decision was made under pressure of increasing reports by the newly created Federal Bureau of Narcotics that cannabis was a drug dangerous to society. Up to that moment, cannabis legislation had been based on a large number of international conventions, causing considerable legal confusion. It was therefore proposed to combine all legislation into a single international convention, the draft of which was finally accepted by the United Nations in 1961. Under this “Single Convention on Narcotic Drugs” cannabis and its products were defined as dangerous narcotics with a high potential for abuse and no accepted medicinal value. It reflected the belief that cannabis was a narcotic with a threat that was equal to heroin, ecstasy and LSD. In following years several complementary treaties were made to strengthen the convention. These laws have been an important basis for the ‘War on Drugs’. Since the Single Convention was introduced, the potential danger of recreational cannabis use has been much higher on the political agenda than any of its benefits as a source of fiber, food or medicines (see chapter 7). According to the American president Nixon, cannabis was a secret weapon of the communists, being spread by the Jews to destabilize the Western world. This cannabis-related fear has been the base for the legislation that is nowadays obstructing the rediscovery of cannabis as a medicine. Although our scientific understanding of cannabis has increased significantly over the last years, these insights are only slowly and reluctantly incorporated into new legislation. In the coming years, a large variety of scientific and clinical data is expected to become available, further showing the medicinal effects of cannabinoids and the endocannabinoid system. Several Western countries are already providing medicinal cannabis products to patients, and some steps are even taken towards decriminalization of recreational cannabis use in a few countries. These shifts signal that the Single Convention, and the punishment-based prohibition that goes with it, may start to reach its expiry date. The legislation that follows it will depend for a large part on the quality of the scientific research available. Whereas most countries of the world have traditionally followed an approach of punishment-based prohibition on cannabis and other drugs, the Netherlands have instead focused on harm-reduction. The basic principles of the Dutch drug policy were largely formulated in the mid-seventies. This policy does not moralize, but is based on the assumption that drug use is an undeniable fact in society and must be dealt with as practically as possible. The most important objective of this policy is therefore to prevent or to limit the risks and the harm associated with drug use, both to the user himself and to society at large. The cornerstone of this policy is the law known as the Opium Act, which is based on two key principles. Firstly, it distinguishes between different types of drugs on the basis of their harmfulness, with cannabis, hashish and psychedelic mushrooms on the one hand, and drugs that represent an “unacceptable” risk on the other. The terms ‘soft-drugs’ and ‘hard-drugs’ refer to this distinction. Secondly, the law differentiates on the basis of the nature of the offence, such as the distinction between possession of small quantities of drugs intended for personal use versus possession intended for sales and distribution. Personal use of a drug itself is not an offence. Cannabis cultivation, sales and use are formally illegal according to Dutch law. However, through the famous outlets known as “coffeeshops” the sales of small quantities of cannabis is tolerated (condoned) under strict conditions. There are currently about 600 of such coffeeshops in the Netherlands, with the majority located in the bigger cities. Tolerance is a typically Dutch policy instrument which is based on the power of the Public Prosecutor to refrain from prosecuting offences. This principle is formulated in the law and is called the “expediency principle”. The small-scale sales carried out in the coffee shops are thus a legal offence from a legal viewpoint, but under certain conditions it is not prosecuted. These conditions are: no advertising, no sales of hard-drugs, no nuisance must be caused in the neighbourhood, no admittance of and sales to minors (under the age of 18), and no sales exceeding 5 grams of cannabis per transaction. The stock of the coffeeshop should not exceed 500 grams of cannabis. If these rules are violated, the shop can be closed down by the municipal authorities. Currently, a new requirement is proposed stating that coffeeshops should be at least 350 meters removed from any school. The main philosophy behind the Dutch policy towards the coffeeshops is that of harm reduction. This is based on the argument that if small-scale cannabis sales and use is not prosecuted under certain conditions, the users – mainly young people experimenting with the drug – are not criminalized (they do not get a criminal record). Also, they are not forced to move in criminal circles, where the risk that they will be pressed to try more dangerous drugs such as heroin is much greater. Tolerance does not mean that cannabis smokers can just light up a smoke anywhere they like outside a coffeeshop. Although no formal rules prohibit cannabis smoking in public places, such as bars, restaurants or train stations, very few people do so. If they do no sanctions are applied, but the person is likely to be asked by the staff to put out the cannabis cigarette. The absence of formal regulations for the use of cannabis has opened the way for these informal norms, and their existence and effectiveness is an aspect of Dutch drug policy that is often underestimated and difficult to grasp by foreigners. For example, tourists who visit Amsterdam commonly make the mistake of thinking they can smoke cannabis ‘everywhere’. In response to this and other problems with public cannabis use, the city of Amsterdam has even invented a new traffic sign (see figure 6-2). It must be noted that the majority of the Dutch population, especially senior citizens, have never consumed cannabis and do not know much about cannabis regulations or habits. Based on their liberal drug policy it may not be surprising that the Dutch have been among the first to start an official Government program for medicinal cannabis. In fact, it was Health Minister Els Borst (1994-2002) who first officially acknowledged that a lot of patients were using cannabis obtained through coffeeshops for medicinal purposes. However, in coffeeshops patients cannot get any guarantees on the quality, composition or origin of the cannabis. In order to supply patients with a safe and reliable source of high quality cannabis, and to involve physicians and pharmacists in the medicinal use of cannabis, the Minister made it possible to start a national program. As a result, the Office of Medicinal Cannabis (OMC) was established as a National agency in 2000. The OMC is part of the Ministry of Health, responsible for the production of cannabis for medical and scientific purposes. By setting up a National agency the Dutch cannabis program is in full agreement with the Single Convention, which allows the medicinal use of cannabis under strict conditions. 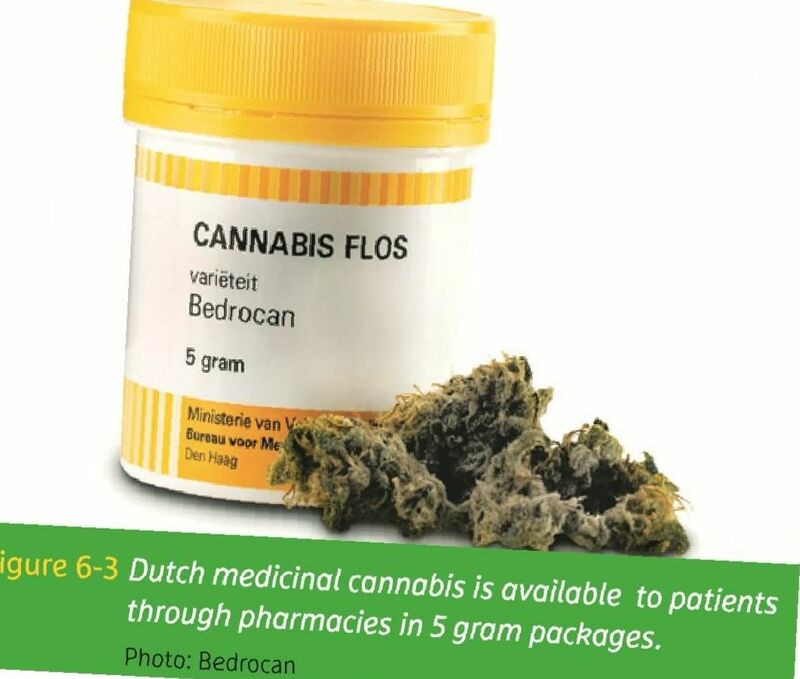 Medical grade cannabis finally became available in Dutch pharmacies in September 2003, and since then it can be obtained on doctors’ prescription. Besides supplying it to Dutch patients, the OMC also provides cannabis for scientific research, for development of cannabis-based medicine by pharmaceutical companies, and for export to other countries with a medicinal cannabis program if those authorities issue an import license. Right from the start, a reliable source of high quality cannabis materials was considered crucial for the success of the Dutch medicinal cannabis program. 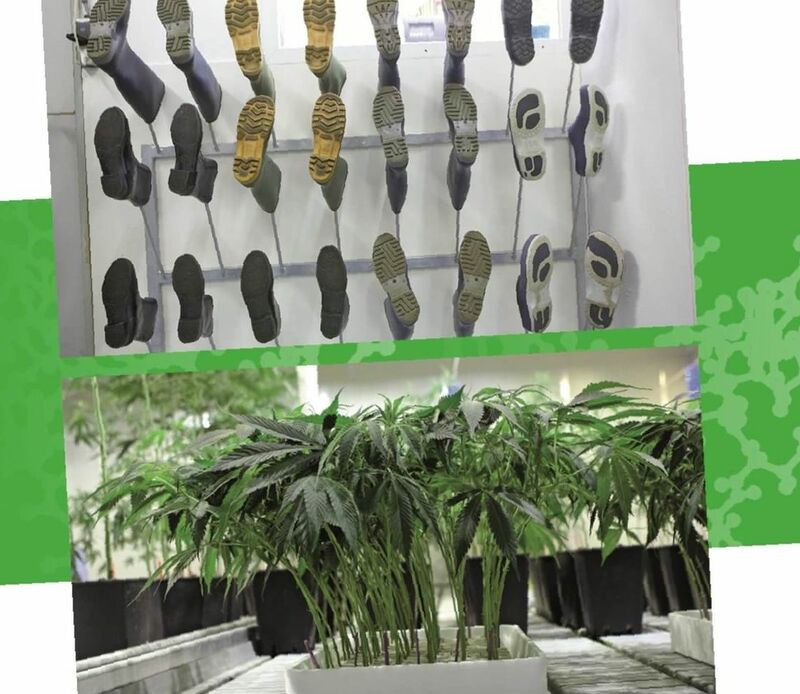 Therefore, a skilled breeder was contracted for the cultivation of plants under highly standardized conditions, resulting in a product with a reliable and consistent composition. The whole process of growing, processing and packaging of the plant material are performed according to pharmaceutical standards, all supervised by the OMC. The quality is guaranteed through regular testing by specialized and certified laboratories (see chapter 1). Based on the availability and quality of clinical data and scientific literature, a selection of indications was made by the OMC for treatment with its medicinal grade cannabis (see chapter 5).The product is finally delivered to patients in 5 gram packages, as shown in figure 6-3.